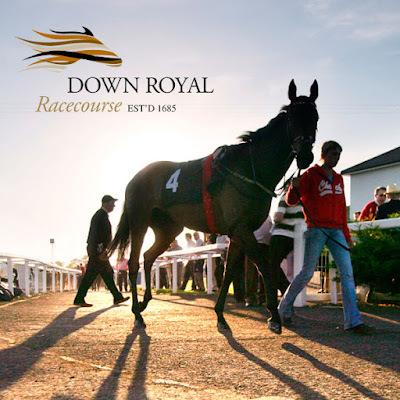 On Friday evening we have interesting staying listed contest, in Northern Ireland at Down Royal .8 runners declared for Her Majesty's Plate over 1M 6F at 7.55 on ground described as good .The three main contenders look to be Twilight Payment , Savannah Storm & Grandee . TWILIGHT PAYMENT : 4-Y-0 Bay Colt ,winning 2 out 9,including winning 2 mile listed race at Curragh last season on heavy ground.Has been running consistently this season,finishing placed three times ,including finishing 2.5 lengh second to Order St George in 1M 6F listed race last time .Has 3lb listed penalty ,though should go well in this easier looking race . SAVANNAH STORM : 4-Y-0 Bay Colt,winning 1 out 5.Has shown progressive form this season,since stepping up in trip ,including finishing close second in 1M 5F handicap at Navan in June,off mark 87 .Also finished creditable staying on third in 1M 3F listed race at Roscommon earlier this month .Looks open to more improvement over this longer trip . GRANDEE : 3-Y-0 Bay Colt ,winning 2 out 8,including winning 1M 4F listed contest at Leopardstown in June on soft ground .No show in Irish Derby, finishing last of 9 ,though will be suited returning to listed company .Should be thereabouts,receiving plenty of weight . VERDICT : Twilight Payment will be popular here,having twice chased home Ascot Gold Cup winner Order Of St George ,though odds around 15/8 look short enough,for horse that is not the most prolific winner . The lightly raced SAVANNAH STORM should go well,after finishing promising third in similar race at Roscommon last time ,staying on nicely at the finish .The step up to 1M 6F should be ideal .Odds around 9-2 look solid each-way value .